Product prices and availability are accurate as of 2019-04-11 00:00:01 UTC and are subject to change. Any price and availability information displayed on http://www.amazon.com/ at the time of purchase will apply to the purchase of this product. 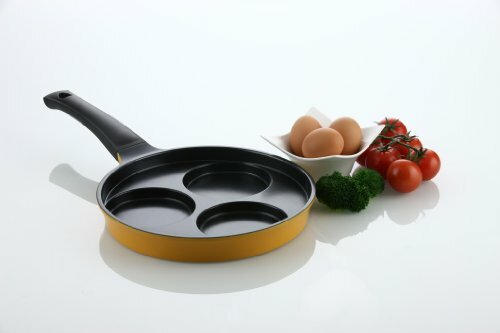 The Flamekiss 9.5" Nonstick 3-Cup Egg Pan by Amorè Kitchenware can help you make perfectly round fried eggs. The nano ceramic nonstick coating allows you to cook with little to no oil, while the cast aluminum design ensures even heat distribution. 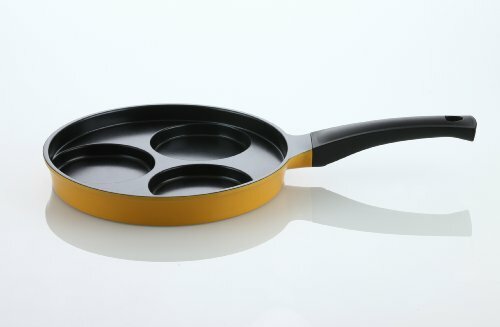 The pan can be used on gas and electric stove-tops. A durable and heat-resistant Bakelite handle is smoothly joined to the exterior. Complete 12 month manufacturer's warranty. Flamekiss by Amorè Kitchenware is a 2Go Products, LLC trademark. Scratch resistant, extra smooth nano ceramic coating. Dishwasher safe, durable coating will not fade or peel with repeated use. Make perfect eggs or pancakes every time! Energy-efficient, innovative body design for superb heat retention and distribution. Premium quality cast aluminum manufacturing. Environment-friendly, 100% PTFE and PFOA free coating. No heavy metals used in the manufacturing process. Durable and heat-resistant Bakelite handle with smooth joint attachment for cleaner and easier cooking. 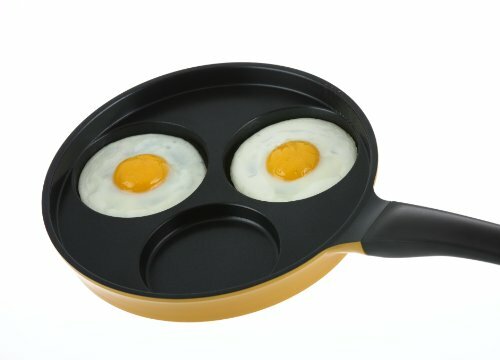 This 9.5" 3-cup egg cooker pan comes with a complete 12 month manufacturer's warranty that guarantees the quality and durability of the non-stick coating.